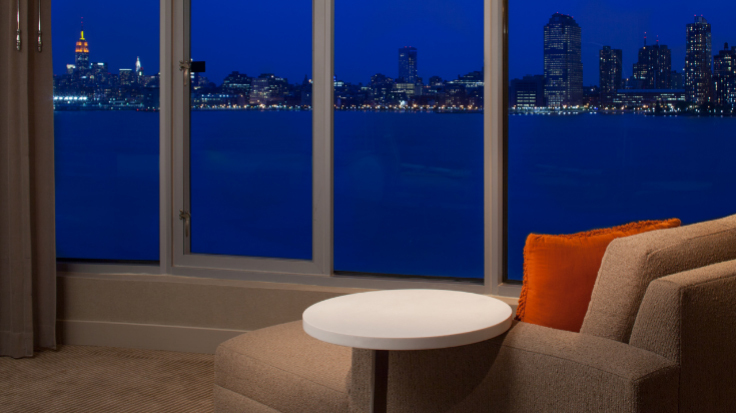 Hyatt Regency – Jersey City – All Tickets Inc. 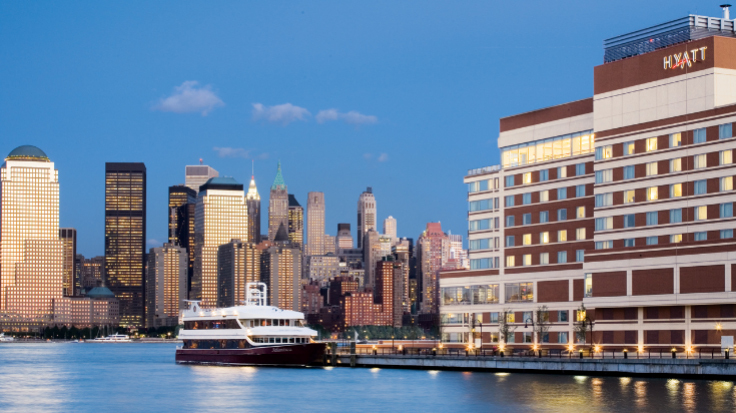 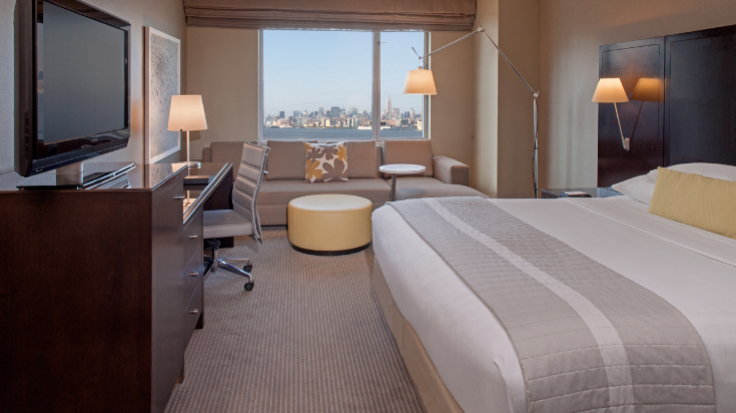 The Hyatt Regency – Jersey City, is a luxury hotel on the Hudson River, offering groups magnificent views of the Manhattan skyline. 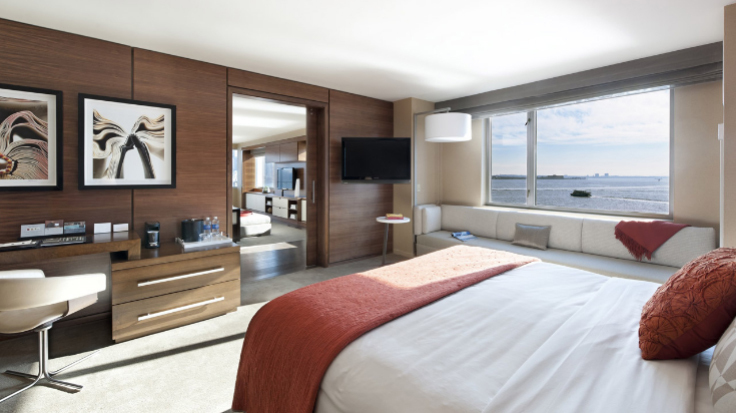 All of the 351 well-appointed rooms provide guests with waterfront views, and each features trademarked Hyatt Grand Beds, the ultimate in indulgent sleep inducement. 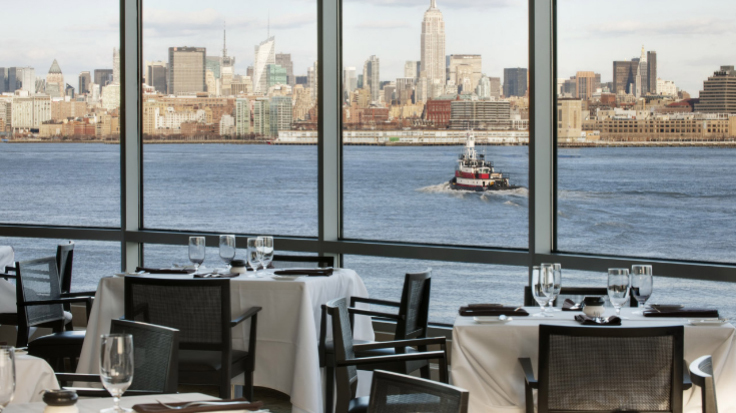 Access to NYC’s cultural richness is fast and easy, while your group will also be able to enjoy wonderful dining, entertainment, and shopping. 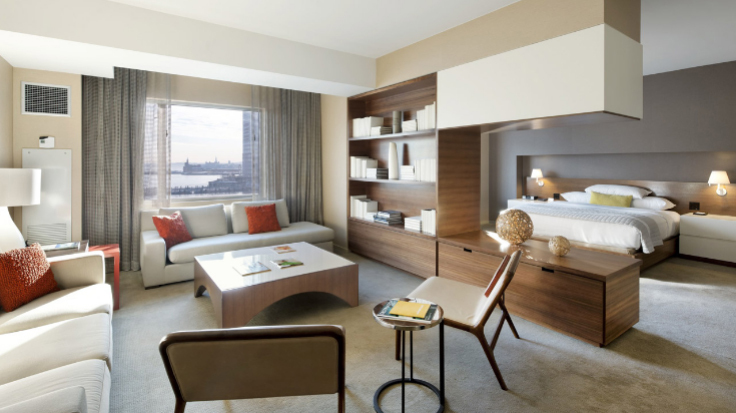 Every room at the Hyatt Regency – Jersey City includes a 37-inch LCD TV, high-speed Internet access (charges apply), and video on demand. 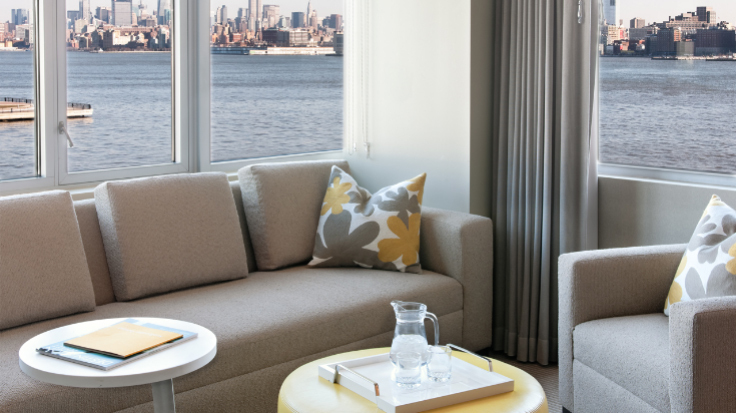 Refrigerator, ironing board and iron, and hair dryer all help to make your stay a little easier. 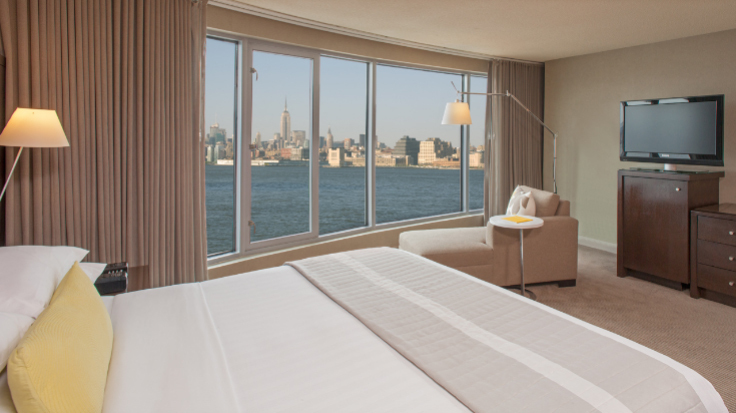 Room and concierge services are ready and waiting for your requests. 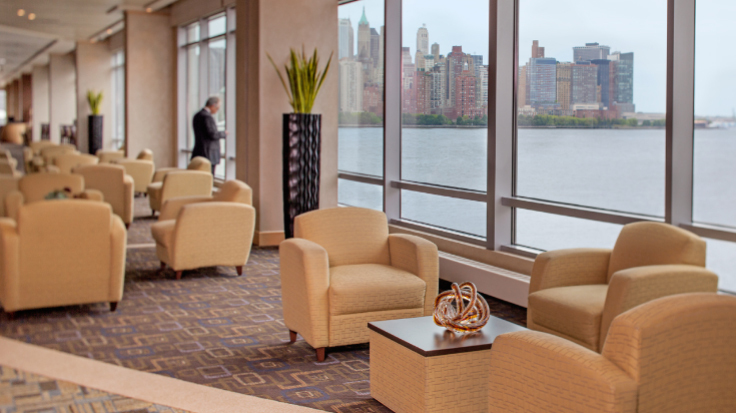 An extra large work station, richly comfortable work chair, and superior lighting are on-hand. 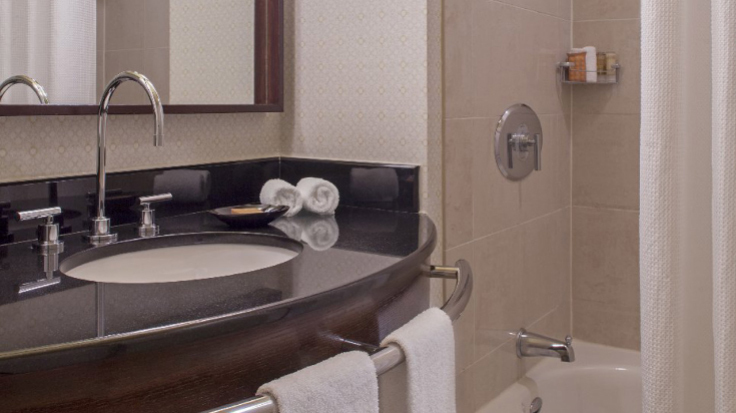 Deluxe amenities include a granite bath, generous work area, Wi-Fi, and iHome stereo with iPod® docking station. 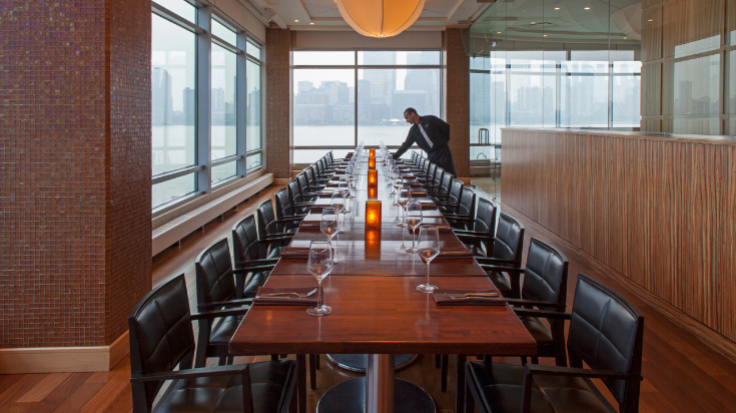 Dining at the Hyatt Regency – Jersey City’s restaurant, Vu, is spectacular in many ways. 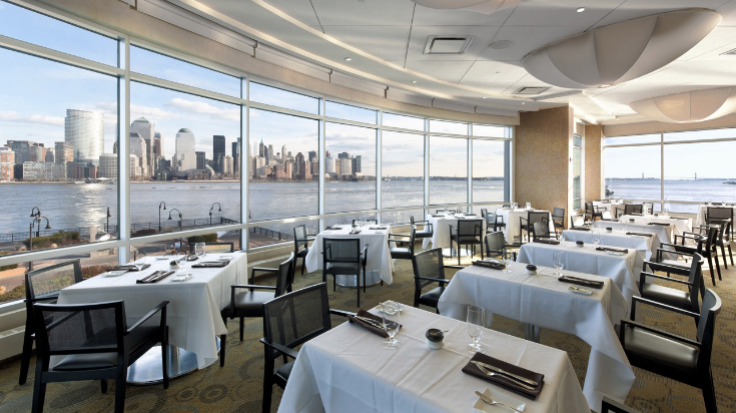 The open concept restaurant offers diners an amazing panorama of the New York skyline, while premium chefs prepare ultimate breakfast, lunch, and dinner. 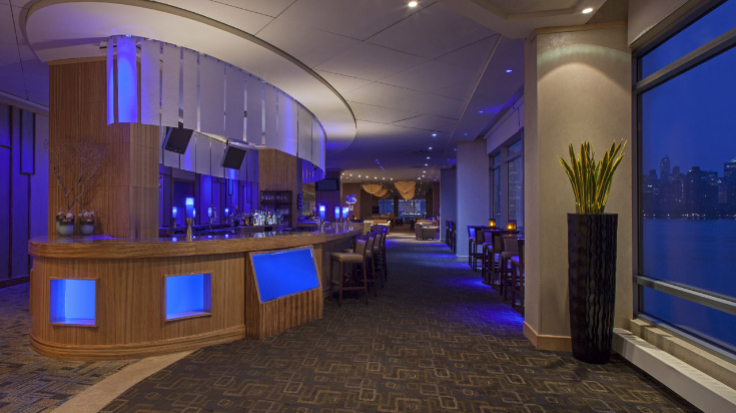 Comfort, luxury, and expertly prepared cuisine made from the finest and freshest ingredients. 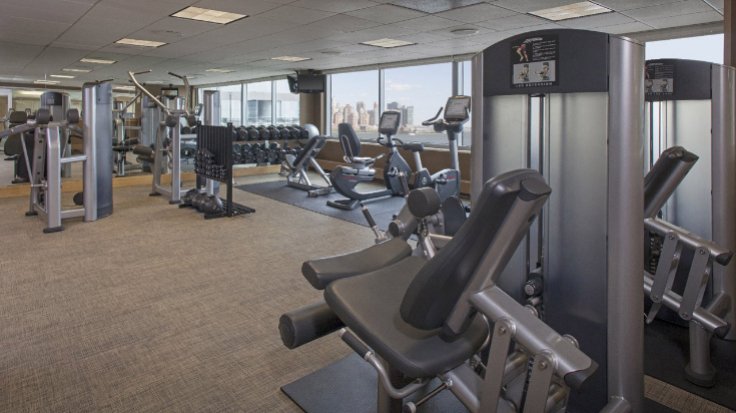 The hotel includes a fully equipped fitness center, which includes free weights, resistance machines, and cardiovascular equipment. 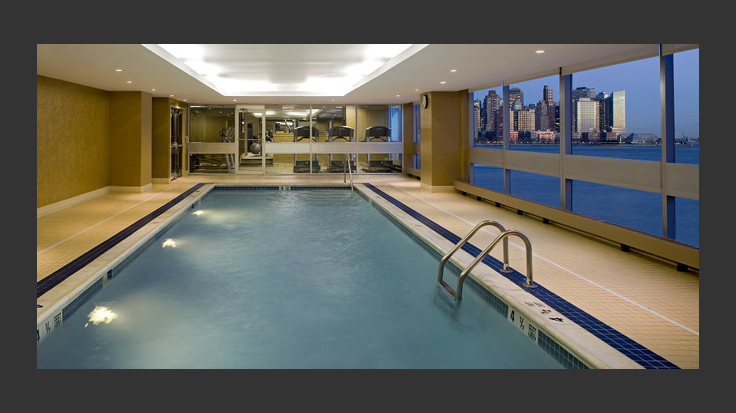 After working out, enjoy a swim in the indoor, heated pool with amazing views of NYC. 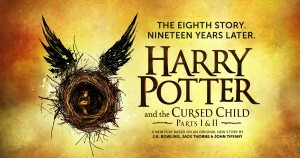 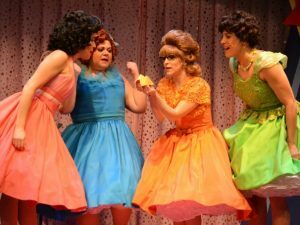 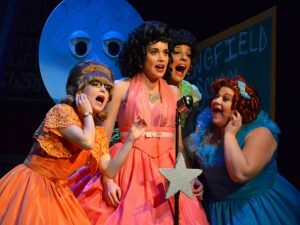 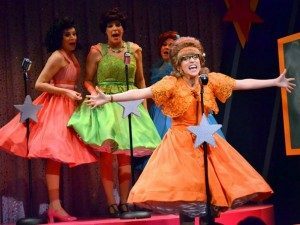 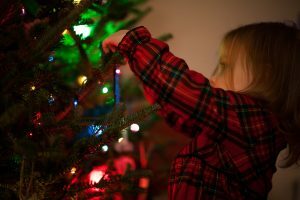 Plus, there are plenty of great family activities for kids of all ages. 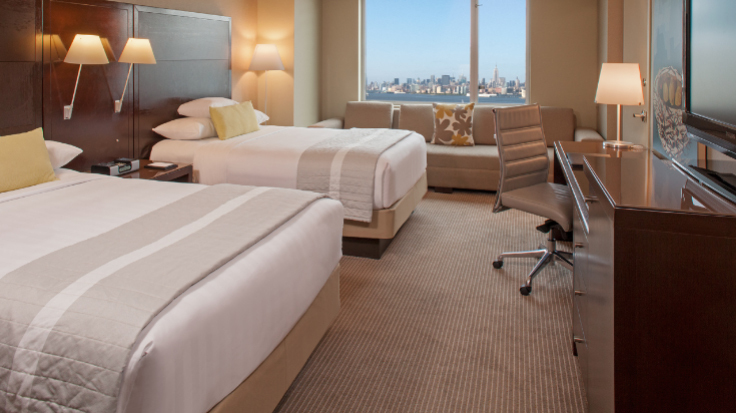 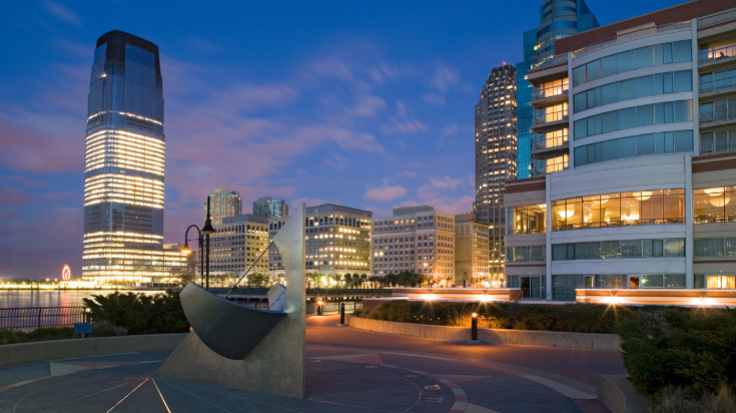 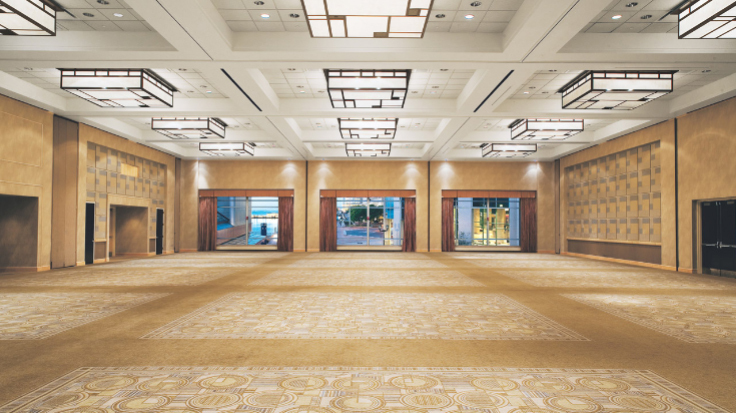 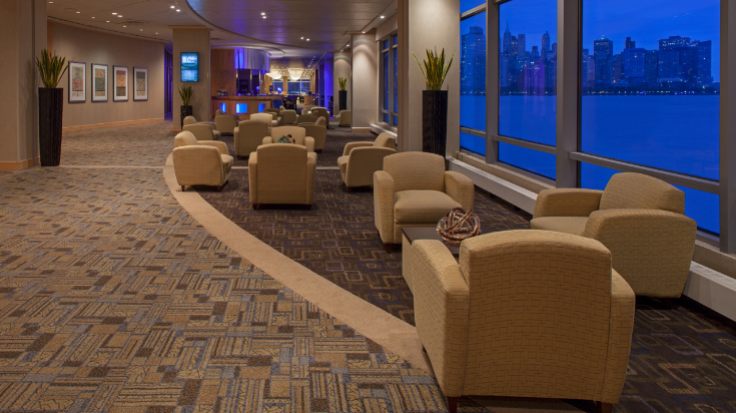 The Hyatt Regency – Jersey City is a great choice for groups that desire luxury, location, and access to some of the most amazing views of the City you’ll ever enjoy. 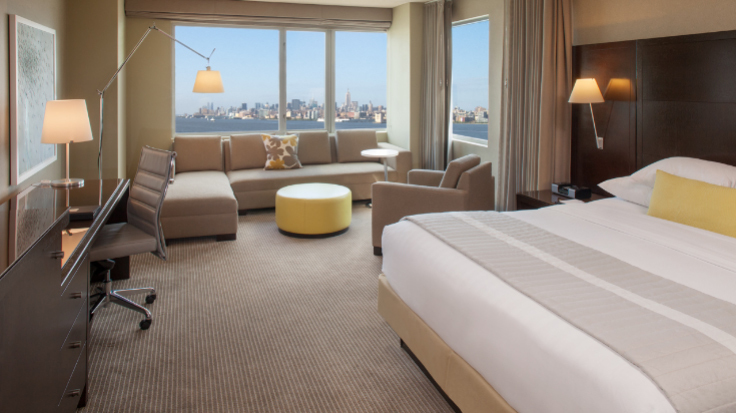 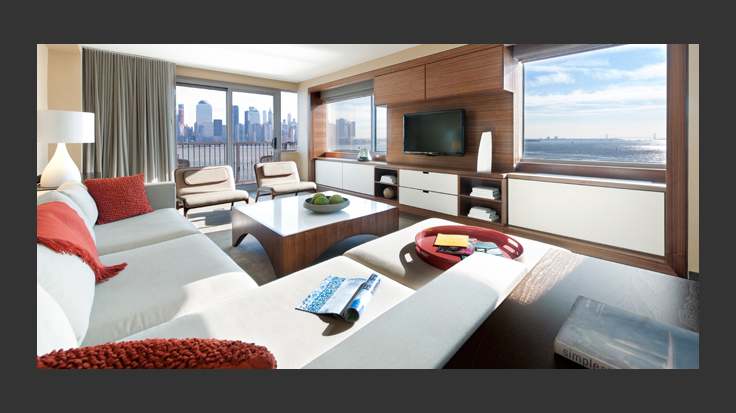 This is the ultimate premium experience for those wanting superior quality and ease of access to everything New York has to offer.